Recently I read an article in the paper about the current food to population-growth ratio and it stated that Earth will need to produce 70% more food by 2050 in order to sustain a predicted population of over 9 billion people . As individuals going about our daily lives, how can we be part of the solution to this overwhelming challenge rather than part of the problem? The good news is that we don’t have to do anything more drastic than don a pair of gardening gloves and get planting. Growing our own food is heralded as being better for our health and can also help cut down the grocery bill, but there’s a much greater potential benefit – it can help take the pressure off the overworked global food system so that challenges like an increasing population (and a wobbly climate) can be addressed. Herbs are a good place to start. 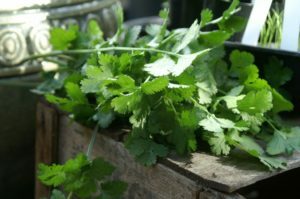 Nobody’s suggesting we can save the planet with a bunch of parsley, but starting your food growing adventure by dabbling in herb growing can help boost your confidence so you work up slowly to bigger and better things. 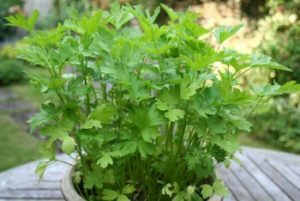 Herbs are not only a wonderful addition to meals and drinks (use to make herbal teas), they are easy to grow and require comparatively very little space and TLC. If, like me, you’re a city dweller with minimal space to spare but want to gain the most from what you have, a herb garden is perfect. Don’t be daunted by the idea of growing your own food. While people think that having a food garden requires huge amounts of TLC and hours of work, the secret is thinking practically. Take on what you can manage – a decadent and vast food garden may seem appealing, but resist the temptation unless you’re an advanced gardener, otherwise you’ll get overwhelmed quickly. In saying this, if you have room and eagerness to spare – don’t be afraid to think outside the square (see what I did there?) – I have some suggestions for you too! • Work out what you’ll grow your plants in. 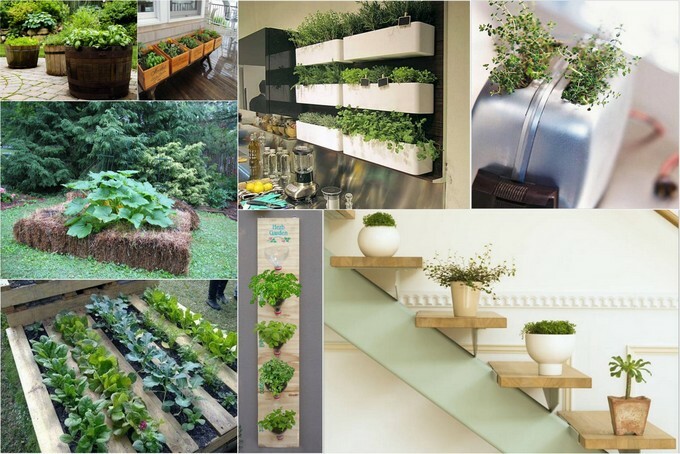 You can grow vegetables in pretty much anything from old wooden pail buckets to a toaster. Old mason jars, cups and vases also work well. Growing in containers is a clever idea if sunlight is an issue – you can move them around allowing your plants to get sun or shade depending on the season. My other favourite is wooden storage pallets – your planting rows are already done for you. Once you’ve selected your make-shift garden bed, grab some soil from your nursery, making sure to get the best quality soil you can afford, preferably organic. • If you have a little more space to spare, you might like to think about an outdoor raised garden bed. Storage pallets work well for this too if you’re not much of a builder. The other option is to use hay bales. I grew up in the country and when I was little, my mum and I would make raised vegie patches out of hay bales – quick, simple and something you can do with kids on the holidays. Simply arrange the bales, lay down a base of cardboard and fill with soil. • Consider your home’s aspect. In other words, how much sun do you get? You’ll need to choose herbs that will grow best in what you have. 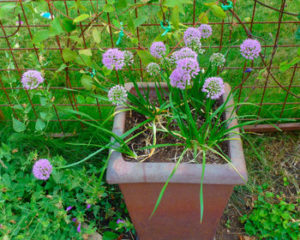 For example, chives like sun, parsley likes part sun-part shade, mint will grow in the shade. If you’re unsure of the right herbs for you, wander down to your local nursery for suggestions. • Grow herbs you will use. 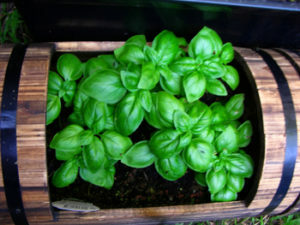 Grow herbs you like and will use in cooking or in herbal teas. Many herbs also have medicinal properties, so look into these too. – Pick the flowers off before they bloom – this helps to maximise growth and quality of your plant. 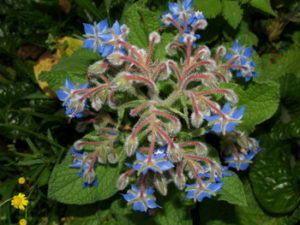 – Roots and stems can be used in cooking too – they have the strongest flavour. – You can harvest most of the plant, but leave a little bit so it can regenerate. – If planted outside, leaves may die in winter, but will grow back as they are perennial. – Likes a sunny spot, but can be planted in partial shade.